This was the question addressed by the 2018 Community Scholars project. A joint initiative of UCLA’s Institute for Research on Labor and Employment, Labor Center, and the Department of Urban Planning, Community Scholars is a two-quarter class that convenes graduate students with community, labor, and city leaders to conduct applied research on pressing local issues. 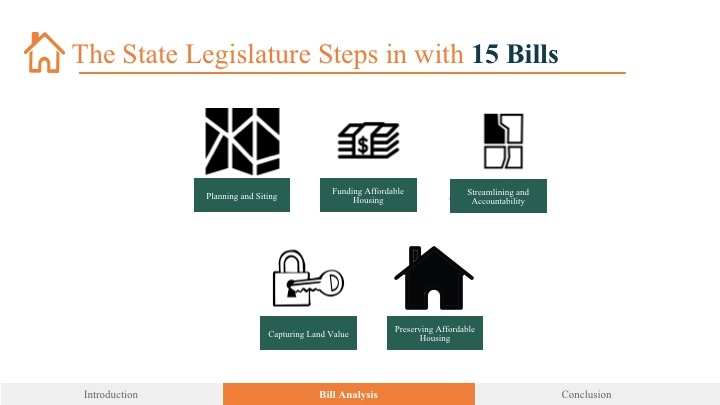 In 2017, the California legislature passed a historic housing package consisting of fifteen bills that provided new funding for affordable housing and facilitated the siting and building of new housing throughout the state. These bills include a variety of provisions. One of the laws establishes a statewide source of funding for affordable housing by adding a fifty-dollar document recording fee when certain real estate transactions are recorded. Another put a $4 billion bond on the upcoming November ballot with proceeds going to a number of affordable housing programs. A third bill permits local governments to pass housing ordinances that require market-rate builders to include affordable housing. Yet another helps protect tenants presently living in subsidized housing from being evicted when their buildings are sold. Most of the bills, however, make it easier for builders to build. 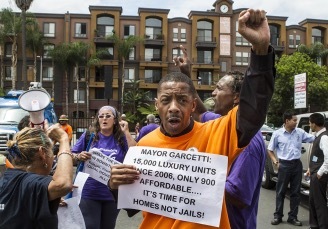 They make changes to California’s Housing Element laws (the State requirement that all cities and counties identify where housing can be built based on a projection of housing need provided by the State) and an older law, the Housing Accountability Act (HAA). The HAA has been on the books for over thirty years but has been almost completely ignored until now. The point of all this activity was to spur production of desperately needed housing in California. Advocates around the state fought for these bills and celebrated a great victory when they passed. But after the immediate celebrations, advocates had to sit down and figure out how all this was actually going to play out. What did we really do? In January, thirteen planning scholars and thirteen community scholars set out to answer this question. At the request of Public Counsel (the nation’s largest pro bono law organization dedicated to social justice for low-income neighborhoods), this year’s Community Scholars separated out the bills and held them up to the light of day-to-day struggles around affordable housing. The scholars scoured the language for consistency (and inconsistency), applied the new policies to the existing practices of a number of cities, and mapped out what might really happen on the ground. The class created scenarios to demonstrate where the new policies would work best and where they may make little difference. The students interviewed city planners, reviewed local plans, and talked with builders and activists. The new legislation has the potential of making great change, but there are limits on the ground that give us pause. Many cities fight more housing. Homeowners often don’t want more density and sometimes don’t want the people who will live in denser housing. Local voters want the homeless to be housed but often not in their neighborhoods. It is important that we build more densely, but policies that allow for building near transit can lead to gentrification and displacement; without tools to address this concern, tenants may be at risk of eviction. And, although it was proposed, repealing the California law that limits rent control, the Costa-Hawkins Rental Housing Act, did not pass. 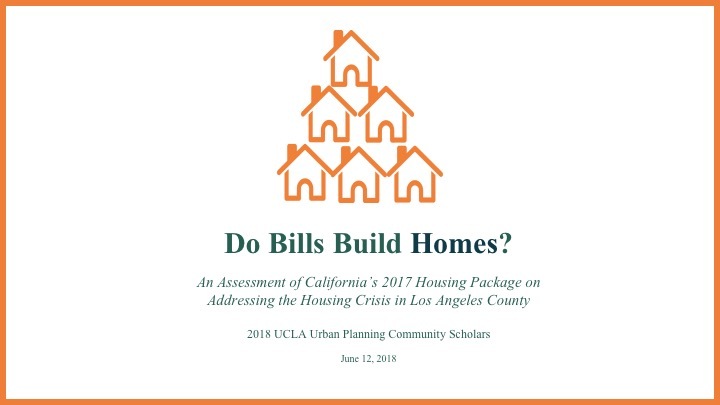 The Community Scholars ultimately agreed that while the housing package was unprecedented, it is only a first step in our long struggle to make sure all Californians have a place to call home. Jan Breidenbach teaches housing and community development at Occidental College. Before teaching, she was a long-time advocate, leading the So CA Association of Non-Profit Housing for 15 years. She was a union organizer for the Service Employees International Union and the founder of an economic development organization that worked with poor women excluded from the traditional labor force. She is a Senior Fellow of the UCLA Department of Urban Planning, on the editorial board of the National Housing Institute and a board member with the Economic Roundtable. http://expre.ss.ucla.edu/wp-content/uploads/2018/07/Community-Scholars-1.jpg 229 328 Managing Editor https://lasocialscience.ucla.edu/wp-content/uploads/2018/08/lass_logo-274x300.jpg Managing Editor2018-07-23 17:24:512018-07-23 17:24:51Do Legislative Bills Build Housing?